Instagram has become a platform for Philippine-based entrepreneurs to promote their business and sell their wares. The appeal of the image-sharing app is far and wide. It attracts small to medium enterprises as well as big brands; local and global retailers; brick-and-mortar stores and purely-online shopfronts; and product merchants as well as service providers. Related: Is the new Instagram update good for business? First, Instagram is a global phenomenon. In a word: popular. Gaining 400 million monthly active users in late 2015, the 5-year old app has not shown signs of slowing down. It has been visible since day 1—with 25,000 downloads when it first launched on the App Store, where it also dominated. Techies hailed it; so did photographers. That is about the set of power users a photo app needs to tap early to reach critical mass. Next, it hinges on community. The popular feed allows for the discovery of other users outside one’s followers and following units. Hashtags—the more specific, the better—enable one to find likeminded sharers on the app. Beauty, fitness, food, lifestyle, and travel are some examples of general categories that are hit with Instagrammers. Last, it is about simplicity. Ease of use in the photo-sharing department is almost paralleled by Pinterest. But Instagram is at the top of the game. From snapping to applying filters (or not) to posting, the photo-sharing process feels fuss-free and lightweight. Then these factors intersect with the country’s increasing e-commerce and internet penetration, social media activity, and mobile use. While Instagram has always been free for the individual, its owners have dished out carousel ads to display sponsored content. Businesses now have the option to pay for this service. 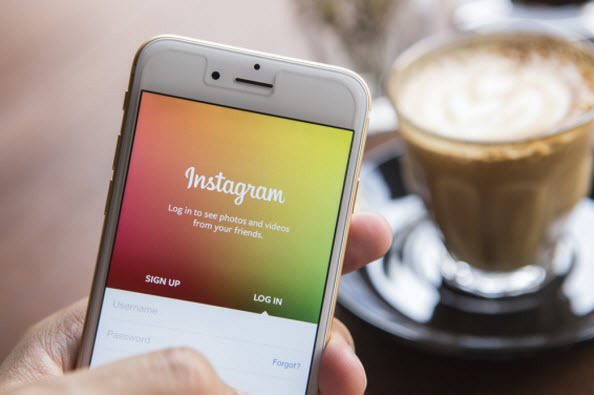 While these are not all the elements at play, they can paint the picture of entrepreneurs and digital marketers flocking to Instagram for compelling and practical reasons. A good way for a brand to find its target market on Instagram is to lay down a clear purpose. Rags2Riches, founded by Forbes 30 Under 30 graduate Reese Fernandez-Ruiz, describes itself as “a fashion and design house empowering artisans in the Philippines.” That story is weaved into its gallery, which leads to a kind of balanced fusion of meaning into marketing. The woman behind Life After Breakfast, Alessandra Lanot hosts craft workshops regularly in and out of Metro Manila. Before Instagram, her blog has already made the rounds among artists and individuals curious and eager to learn watercolor painting, modern calligraphy, rubberstamp carving, and such creative pursuits. On Instagram, she announces workshop dates, showcases her work, and perhaps unconsciously tells the visual story of turning one’s passion into profit. This online lifestyle clothing shop is straightforward. It features overlays or collages of sports bras and workout leggings, designed by Elvie Caparas-Zamora. Sometimes snaps of satisfied customers pop up in its gallery, including celebrities and a slew of other fitness enthusiasts donning the brand in gyms, studios, and even islands. Pink Salmon Clothing is a case study candidate for how micro, small, and medium enterprises can drive sales through digital marketing. The account is set in private though so follow them to check what they have to offer (shown here is actress and singer Jessa Zaragosa-Avanzado wearing Pink Salmon gym clothing). Another local find, this cosmetics brand emphasizes good skin care, turning makeup into an ally rather than a threat to women’s skin. Happy Skin has brick-and-mortar presence, but it uses Instagram to curate images of its products, and takes the time to respond to customer comments as simple yet essential as “How much?” The larger following can be attributed to the brand having tapped social media influencers or brand ambassadors such as celebrities. The biggest online shopping mall in the Philippines sounds music to 9 out of 10 Filipinos who prefer shopping online. So, it took to Instagram to show how customers can use the products found in the e-commerce site. Lazada’s digital marketers also encourage interactions among the audience by throwing them questions, asking them to share or double tap on a post, or sometimes posting humorous images. On Instagram, massive following is not everything. Purchasing followers can boost the number in a business profile, but it does not automatically translate to increased engagement with target customers, much less conversion to sales. It is a marketing tool that needs its own strategy, attention, and resources. But any business can use those square frames as a window to their customers’ world. Shadz is a freelance business writer for both online and print. Follow her on Twitter: @shadzloresco.